Thanks for creating a Wikipedia account, D Scott 86. Now you're a part of the world's largest encyclopedia. Happy editing! Tell us more about yourself This page is your user page. You are free to change it however and whenever you want. Just remember, it is your face towards the rest of the community and the world. You can always get back here by clicking on your user name at the very top of every page. Start editing Every one of Wikipedia's articles has been created by its readers. Click here to learn more about how quickly and easily you can help make Wikipedia better. As we say: Be bold! Personalize Wikipedia With your account, you can enhance your reading and editing experience by marking articles to watch as they evolve and adjusting your settings. 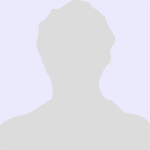 Click here to add an image of yourself (optional). I have a bachelor's degree in Civil Engineering from the University of New Brunswick and a master's in Civil Engineering from the University of Waterloo, where I did research related to drinking water. This page was last edited on 15 September 2012, at 19:07 (UTC).